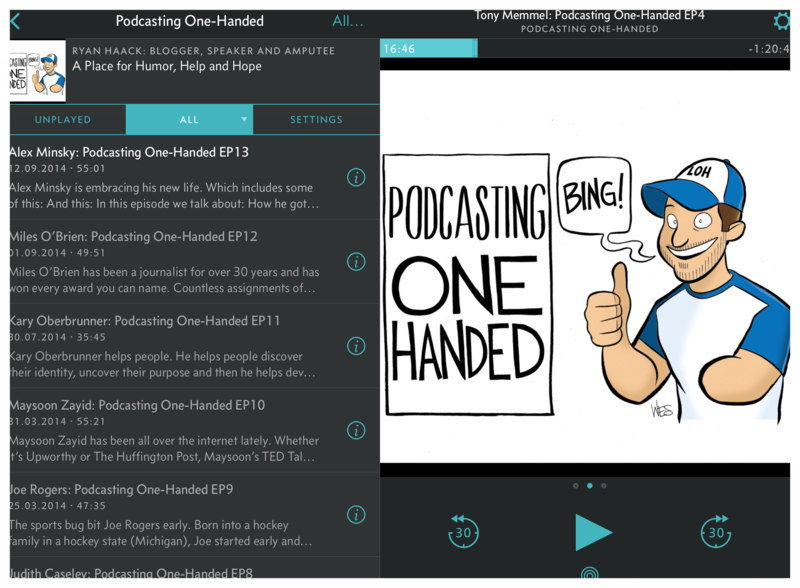 Ryan Haack's 'Podcasting One-Handed' is only one of a number of great shows for amputees. Yes! I admit it. I am a huge fan of podcasts. Anything from ‘The History of India’ to ‘Trumpcast’, from ‘The Smart Cities Week’ to ‘Smart Passive Income’, from ‘The Intercept’ to ‘Serial’. But despite my love for podcasts, it’s been only recently that I started listening to podcasts about amputees and others with limb differences. Why did it take me so long? To be honest, I have no idea. Guess it’s been just a matter of never actually searching for one until I stumbled across my first amputee podcasts more or less by coincidence. And that got the ball rolling. To spare all of you a good degree of missing out on something great (without the FOMO effect, I guess), let me share some of the shows which I think you should give a try. My top five, so to speak. So (drum roll please) here we go! This is my number one! An amazing podcast not to be missed. It’s long and full of detailed information for amputees. Amp Life Talk Radio episodes range from 30 minutes to more than 90 minutes and provide hands-on information on a wide variety of issues amputees are faced with, ranging from socket fit to dating as an amputee, from insurance battles to driving, just to name a few. 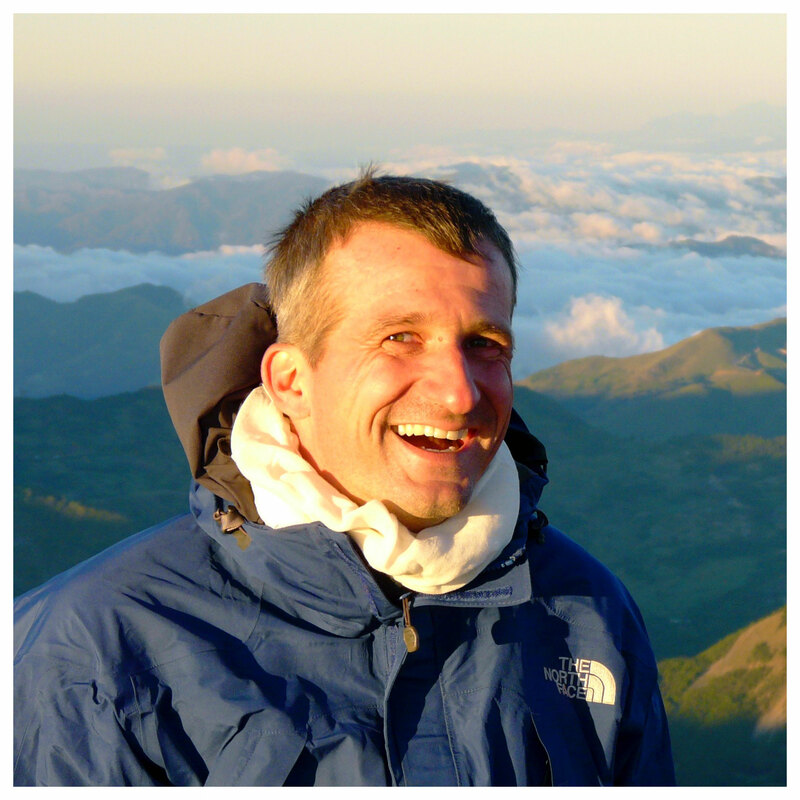 Sean’s podcast is a real treasure trove for amputees, especially people who only recently lost a limb and have no – or only a small – support network to assist them in their journey to navigate the initial steps into their new life. The show started back in the summer of 2017 and has been running ever since. Here is the link to Amp Life Talk Radio as well as to the podcast on iTunes. Another great podcast, especially for all amputees that like interviews with inspiring people. Interviews with other amputees, prosthetic companies as well as prosthtists. The 20 – 90 minute episodes ran from March 2017 to March 2018 and were hosted by Brian Moser, himself a below knee amputee and social media advisor to DeLaTorre Orthotics and Prosthetics in Pittburgg/Pensilvania. Some of the amputees he talks to have been featured on The Active Amputee before; e.g. Erin Ball, Todd Domingo and others. The podcast offers good information, is educational and entertaining. Unfortunately Brian passed away in late March 2018. This post is dedicated to him and the great show he hosted. Here is the link to the DeLaTorre page and to the podcast on iTunes. This podcast is not only about amputations and limb loss, but about facing adversary and adapting to new, challenging situations more in general. The show has a conversational style and Scott interviews one interesting guest at a time, talking about and whole range of issues ranging from surviving cancer to dealing with loss and grief; from sustaining hope in the darkest to adapting to life in a wheelchair etc. The episodes, each of which runs for about an hour, are a great show to listen to. The show first aired in May of 2017 and is still going strong. Here is the link for the Living Adaptive page as well as to the podcasts on iTunes. I guess the title of this podcast gives it away: This show is geared at people with upper-limb amputations/limb differences. Ryan was born missing his left arm. And in this podcast he features other people who lost an arm/were born with a limb difference in their upper extremities. Some of the people in his interviews wrote posts for The Active Amputee in the past; e.g. Tony Memmel. Great conversational style, both inspiring and educational. The show has been around for a bit, originally running between March 2013 to September 2014 - but still very much worth listening to. Here is the link to Living One-Handed and to the podcast on iTunes. This podcast by former Royal Marines Commando Mark Ormrod is different to all the other shows in this list. Mark lost both of his legs and one arm when stepping on an improvised explosive device in Afghanistan. And this podcast is about him, talking about topics close to his heart; it’s about pushing yourself and getting out of your comfort zone; about following your dreams and working hard for them. This show is pretty new – it started in August 2018 – and episodes are rather short; i.e. about ten minutes each. Here is a link to Mark’s homepage and to his podcast on iTunes. So much for my favourite podcasts. Know any other ones that are of interest to amputees? If yes, I would love to hear about them.